That’s the question that makes financial advisors and wealth managers sigh. It’s impossible to answer because it can range from a few hundred thousand dollars (three meals a day and a one room flat) to the GDP of a small country (I want a yacht, two helicopters, a penthouse). So while no one can give you an exact number, we can at least point out a few guidelines. This is number one on the list for a reason. As you grow older, your capacity to earn will fall. This is especially true if you’re in a physical line of work; it’s much harder to spend 12 hours supervising a construction site by the time you’re 60, or nine hours driving your cab. If you are working an office job, you do need to consider the possibility of retrenchment. Even if your company doesn’t lay you off, they may reassign you to a job that pays less. In short, there is a higher probability that you will be unable to service your debt when you’re older. Even if you can, you will find it makes retirement tense and uncomfortable. For this reason, it’s best to pay off all major debts, such as a car loan, by the time you are 50. The sole exception to this is your mortgage which should be the last debt you repay as it has the lowest interest (2.6 percent per annum for HDB loans and currently around 1.8 percent for bank loans). If you have high-interest debts that you know you can’t pay off by 50, consider a Debt Consolidation Plan (DCP) product or speak to credit counsellors. In any case, we can estimate, if your savings are diligent and on track, you will be at around four times your annual salary by age 50. The median income in Singapore is around $3,700, so the typical Singaporean should have around $177,600 in savings (including CPF) by age 50. This is also sufficient to reach the CPF retirement sum, of $166,000*. *This is the retirement sum if your 55th birthday falls on or after 1st January 2017. When we are in our 20s, our portfolio can be geared toward riskier assets. This is because our investments need to outpace the rate of inflation while also accruing wealth for our retirement. As we get older, however, the emphasis should shift from growing wealth to protecting wealth. In general, this comes down to the allocation of fixed income securities. An example would be a vanilla bond, which pays out its coupon rate (unlike stocks, bonds are debts; the interest repayments do not fluctuate like dividend payouts). Perpetual income bonds, which never mature and provide a fixed stream of payments, are also quite popular in Singapore. And of course, we now have the Singapore Savings Bonds (SSBs), which has a better interest rate than most fixed deposits over a 10 year period. The exact allocation of equities and bonds will vary based on your retirement expectations. But you can use a general guideline to “invest your age in bonds”, which means about half your portfolio should be in low risk, fixed-income securities by the age of 50. 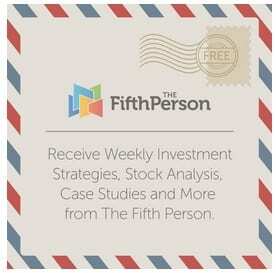 If you’re wondering what the remaining equities should consist of, check out the investment courses at The Fifth Person. We’ll show you dividend-rich methods of investing, which provide the consistent results you’ll need to retire well. 50 is a good age at which to prepare your will (or a trust, if you have a complex legacy such as a business for your children to inherit). A will prevents fights in the family. But an often overlooked benefit is the ability to appoint an executor – you can designate the person who will handle the distribution of your estate. If the executor is a professional (say a lawyer), they can point out important areas that you overlook. For example, if you leave someone a house, the there are property taxes that go with it. That could be problematic if the beneficiary is your 14-year-old son, or a 90-year-old parent with no income. A professional can point out these issues when helping you write the will. Contrary to popular belief, writing a will is not expensive. It costs about $300. Setting up a trust is more costly, however, and you should seek a lawyer or wealth manager for help on that. We hate to say this, but here it goes: a lot of retirement plans are ruined by children and grandchildren. As part of Asian culture, we tend to dedicate too much of our resources to our children/grandchildren. Last minute decisions, such as choosing to pay your grandchildren’s university fees, can derail an otherwise sound financial plan. Another common mistake is downsizing your flat and, instead of using the funds for retirement as planned, giving the money to your children to buy a condo. Do consider what would happen if you try to move in with them, and you can’t get along. So speak to your financial advisor, about what provisions you can afford for your children/grandchildren. Set rules for them, and stick to the rules. You can’t look after everybody forever. We know everyone nags about starting young and so forth, but between you and us… a lot of people only get serious about saving and investing in their 40’s. Some people are more prudent but don’t fall under the illusion that you have some kind of “special crisis” if you haven’t. You still have time to get smart with your money. Follow us on Facebook for more updates and we’ll have you back on track!